This is our sleeping room. 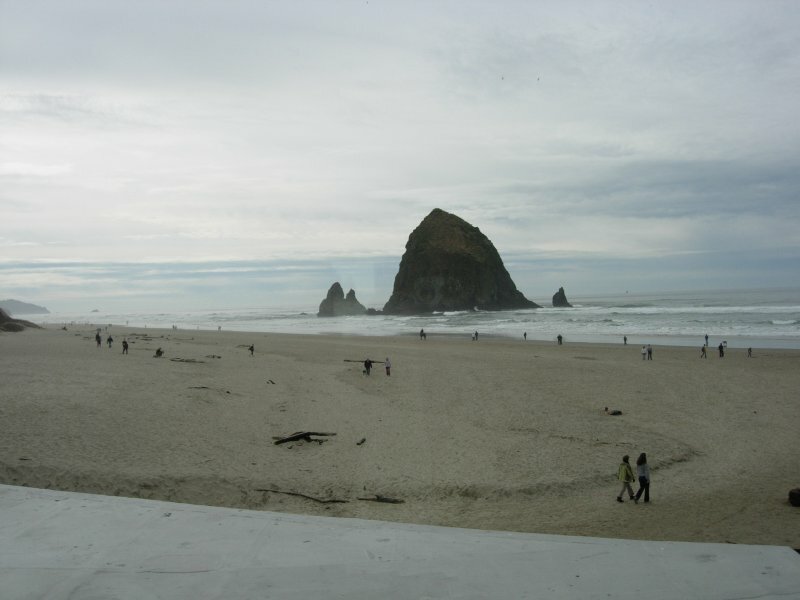 It offers a spectacular view to the south of Haystack Rock. 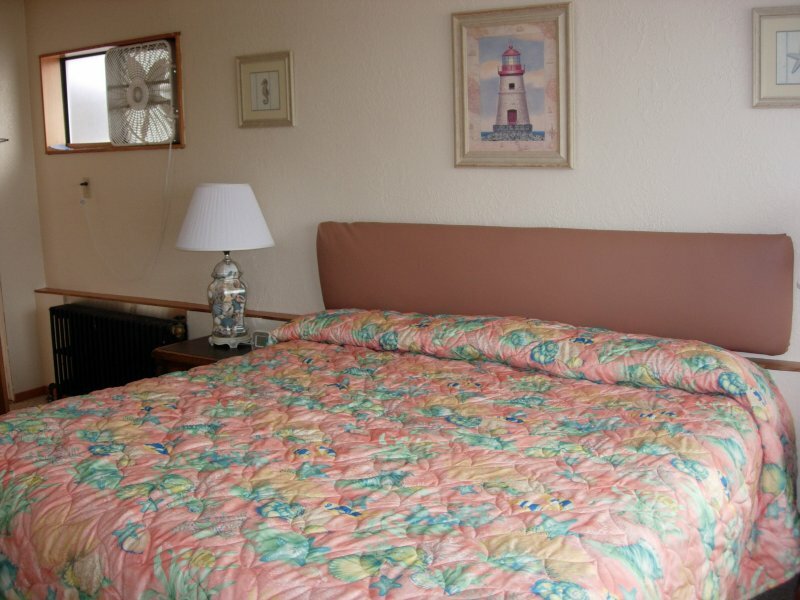 It has one king size bed, and a small mini kitchen area with a refrigerator and microwave.